Click here for advice from Alley Cat Allies on providing food and water, information on appropriate feeding locations, and how to deter insects from the food. Neighborhood Cats: Click here for tips on what, where & how to feed your ferals. Please be aware that cat food tins do not make good feeding or baiting dishes. Cats can easily cut their faces or tongues on tins. If you find tins or tin lids discarded outside, please remove them from the cats’ environment as a safety measure. These workshops are held by trained professionals who teach you about trapping, fixing and caring for feral cats. This workshop is a must for anyone interested in helping community cats in Toronto. **You must take this workshop in order to use the free spay/neuter services for feral cats offered by Toronto Street Cats, Toronto Animal Services, and Toronto Humane Society** Click here to take you to the Community Cats Toronto website. This manual is a blueprint for establishing a Trap-Neuter-Return program in your community. The document features many links to reference documents, video clips, and other website. The manual is in a downloadable PDF format. Click here to download. ALLEY CAT ALLIES Click here for their comprehensive information on care for community cats, Trap Neuter Return (from the planning stages to returning spay/neutered cats to their colony) and helpful tips on building community relations (campaigning on behalf of the cats, educating your neighbors, and more). THE HUMANE SOCIETY OF THE U.S. (HSUS) Online course: Trap-Neuter-Return: How to Manage a Feral Cat Colony. The HSUS comprehensive guide to caring for feral cats. NEIGHBORHOOD CATS Click here for excellent information on how to perform a mass trapping; click here to download their TNR Handbook – this is the must-have manual for anyone looking after homeless outdoor cats. Click here to join the group which is moderated by our fellow coalition member, Community Cats Toronto (formerly Toronto Feral Cat Project). This is a forum for feral cat caretakers, in the GTA, to exchange and discuss ideas, give advice, solutions, and general information on their colonies with other feral cat caretakers. For a list of free & low cost TNR spay/neuter services in Toronto and surrounding areas click here. NEED A PLACE TO RECOVER A FERAL CAT AFTER SURGERY? The Toronto Feral Cat Recovery Center on Progress Road, in Scarborough, is available to use for free to all individuals who have completed the TNR workshop “How to Manage a Feral Cat Colony” run by the Community Cats Toronto, so long certain criteria is met. The Recovery Center can also be used for a $10/day rental fee for those not meeting the criteria listed above. For the full list of criteria, details how to book space, intake procedures etc, please click here which will take you to their website. 1. Toronto Humane Society: will loan traps,to individuals who have completed the TNR workshop “How to Manage a Feral Cat Colony” run by Community Cats Toronto. Full details how to borrow a trap from them can be found on this page of their website. 2. Recovery Center (on Progress Road in Scarborough): Click here to bring you to the page where you will find the trap rental request form. 3. Click here to join a feral colony caretaker’s yahoo group and ask if anyone is willing to lend you one (the yahoo group is administered by Community Cats Toronto, formerly known as ‘Toronto Feral Cat Project‘). 2. Woodstream Brands: Click here to access their supply of Havahart traps and trap ‘sets’ (traps + trap dividers). NOTE: Havahart is a registered trademark of Woodstream Corp.
3. Home Depot: Click here to view the various humane traps they have available for sale. 6. 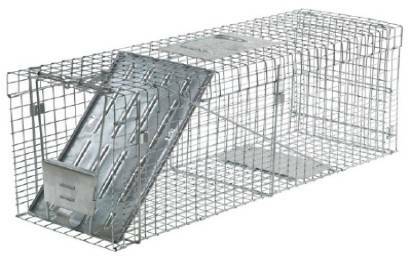 Margo Supplies Ltd (in Calgary): Click here to see the Traps and Trap Dividers they sell. 7. D-Line – Direct Line Sales Corp: Click here to see the Trap Dividers they sell or click here to see the traps they sell. 8. TSC Stores: Click here to see the page of Live Traps they sell either online and/or at their stores (across Ontario (sorry, not Toronto!) and Manitoba. Click here to download our free brochure on how to answer questions from your neighbors about feral/community cats so they can understand them better, learn to co-exist peacefully with them, and appreciate and support Trap Neuter Return. And/or click here to take you to the Alley Cat Allies website where you can find their brochure “How to Live with Cats in your Neighborhood” (either download a free copy to print yourself or order a package for a nominal fee), and find more information how to help feral/community cats. Please also visit Community Cats Toronto for resources on: Cat Health, Scientific Studies on Feral Cats, Feeding Feral Cats, Relocation of Feral Cats/Colonies, Taming/Socialization and more.